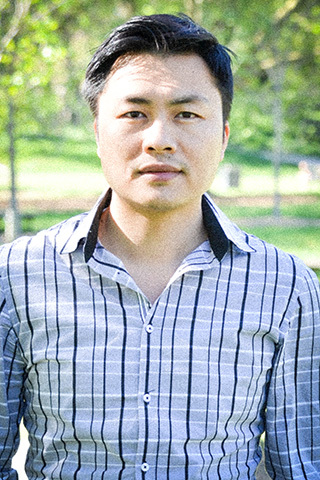 Tuan Nghia Nguyen received his PhD in Engineering from the University of Technology, Sydney (UTS) in March 2010. He was awarded as a recipient of the Chancellor's List in recognition of exceptional scholarly achievement in PhD research in 2010. Currently, he is a Chancellor’s Postdoctoral Research Fellow in the Centre for Health Technologies, Faculty of Engineering at the UTS. His current research interests include biomedical engineering, advanced control and artificial intelligence for health technologies. He is also a member of the Institution of Electrical and Electronics Engineers (IEEE) and the Institution of Engineers, Australia (IEAust). Biomedical Engineering, Biomedical Devices, Artificial Intelligence, Advanced Control, Robotics and Automation. Freezing of gait (FOG) is an episodic gait disturbance affecting initiation and continuation of locomotion in many Parkinson's disease (PD) patients, causing falls and a poor quality of life. FOG can be experienced on turning and start hesitation, passing through doorways or crowded areas dual tasking, and in stressful situations. Electroencephalography (EEG) offers an innovative technique that may be able to effectively foresee an impending FOG. From data of 16 PD patients, using directed transfer function (DTF) and independent component analysis (ICA) as data pre-processing, and an optimal Bayesian neural network as a predictor of a transition of 5 seconds before the impending FOG occurs in 11 in-group PD patients, we achieved sensitivity and specificity of 85.86% and 80.25% respectively in the test set (5 out-group PD patients). This study therefore contributes to the development of a non-invasive device to prevent freezing of gait in PD. This paper presents an improvement of classification performance for electroencephalography (EEG)-based driver fatigue classification between fatigue and alert states with the data collected from 43 participants. The system employs autoregressive (AR) modeling as the features extraction algorithm, and sparse-deep belief networks (sparse-DBN) as the classification algorithm. Compared to other classifiers, sparse-DBN is a semi supervised learning method which combines unsupervised learning for modeling features in the pre-training layer and supervised learning for classification in the following layer. The sparsity in sparse-DBN is achieved with a regularization term that penalizes a deviation of the expected activation of hidden units from a fixed low-level prevents the network from overfitting and is able to learn low-level structures as well as high-level structures. For comparison, the artificial neural networks (ANN), Bayesian neural networks (BNN) and original deep belief networks (DBN) classifiers are used. The classification results show that using AR feature extractor and DBN classifiers, the classification performance achieves an improved classification performance with a of sensitivity of 90.8%, a specificity of 90.4%, an accuracy of 90.6% and an area under the receiver operating curve (AUROC) of 0.94 compared to ANN (sensitivity at 80.8%, specificity at 77.8%, accuracy at 79.3% with AUC-ROC of 0.83) and BNN classifiers (sensitivity at 84.3%, specificity at 83%, accuracy at 83.6% with AUROC of 0.87). Using the sparse-DBN classifier, the classification performance improved further with sensitivity of 93.9%, a specificity of 92.3% and an accuracy of 93.1% with AUROC of 0.96. Overall, the sparse-DBN classifier improved accuracy by 13.8%, 9.5% and 2.5% over ANN, BNN and DBN classifiers respectively. This paper presents a two-class electroencephalography (EEG)-based classification for classifying of driver fatigue (fatigue state vs. alert state) from 43 healthy participants. The system uses independent component by entropy rate bound minimization analysis (ERBM-ICA) for the source separation, autoregressive (AR) modeling for the features extraction and Bayesian neural network for the classification algorithm. The classification results demonstrate a sensitivity of 89.7%, a specificity of 86.8% and an accuracy of 88.2%. The combination of ERBM-ICA (source separator), AR (feature extractor) and Bayesian neural network (classifier) provides the best outcome with a p-value < 0.05 with the highest value of area under the receiver operating curve (AUC-ROC=0.93) against other methods such as power spectral density (PSD) as feature extractor (AUC-ROC=0.81). The results of this study suggest the method could be utilized effectively for a countermeasure device for driver fatigue identification and other adverse event applications. © 2016 John Wiley & Sons, Ltd.A new design method of PID structured controllers to achieve robust performance is developed. Both robust stabilization and performance conditions are losslessly expressed by bilinear constraints in the proportional-double derivative variable (kP,kDD) and the integral-derivative variable (kI,kD). Therefore, the considered control design can be efficiently solved by alternating optimization between (kP,kDD) and (kI,kD), which is a 2D computationally tractable program. The proposed method works equally efficiently whenever even higher order differential or integral terms are included in PID control to improve its robustness and performance. Numerical examples are provided to show the viability of the proposed development. Freezing of Gait (FOG) is a common symptom in the advanced stages of Parkinson's disease (PD), which significantly affects patients' quality of life. Treatment options offer limited benefit and there are currently no mechanisms able to effectively detect FOG before it occurs, allowing time for a sufferer to avert a freezing episode. Electroencephalography (EEG) offers a novel technique that may be able to address this problem. In this paper, we investigated the univariate and multivariate EEG features determined by both Fourier and wavelet analysis in the confirmation and prediction of FOG. The EEG power measures and network properties from 16 patients with PD and FOG were extracted and analyzed. It was found that both power spectral density and wavelet energy could potentially act as biomarkers during FOG. Information in the frequency domain of the EEG was found to provide better discrimination of EEG signals during transition to freezing than information coded in the time domain. The performance of the FOG prediction systems improved when the information from both domains was used. This combination resulted in a sensitivity of 86.0%, specificity of 74.4%, and accuracy of 80.2% when predicting episodes of freezing, outperforming current accelerometry-based tools for the prediction of FOG. This paper presents a novel decentralised model predictive control for a plant consisting of interconnected systems. A constructive technique for online stabilisation that is applicable to the model predictive controllers (MPC) is developed. The plant-wise stability is achievable by the newly introduced asymptotically positive realness constraint (APRC) for MPC. Simulations are provided to demonstrate the efficiency of the presented APRC. Axonal regenerative failure is a major cause of neurological impairment following central nervous system (CNS) but not peripheral nervous system (PNS) injury. Notably, PNS injury triggers a coordinated regenerative gene expression programme. However, the molecular link between retrograde signalling and the regulation of this gene expression programme that leads to the differential regenerative capacity remains elusive. Here we show through systematic epigenetic studies that the histone acetyltransferase p300/CBP-associated factor (PCAF) promotes acetylation of histone 3 Lys 9 at the promoters of established key regeneration-associated genes following a peripheral but not a central axonal injury. Furthermore, we find that extracellular signal-regulated kinase (ERK)-mediated retrograde signalling is required for PCAF-dependent regenerative gene reprogramming. Finally, PCAF is necessary for conditioning-dependent axonal regeneration and also singularly promotes regeneration after spinal cord injury. Thus, we find a specific epigenetic mechanism that regulates axonal regeneration of CNS axons, suggesting novel targets for clinical application. © 2014 Macmillan Publishers Limited. This study aims to develop an advanced portable remote monitoring system to supervise high intensity treadmill exercises. The supervisory level of the developed hierarchical system is implemented on a portable monitoring device (iPhone/iPad) as a client application, while the real-time control of treadmill exercises is accomplished by using an on-line adaptive neural network control scheme in a local computer system. During training or rehabilitation exercises, the intensity (measured by heart rate) is regulated by simultaneously manipulating both treadmill speed and gradient. In order to achieve adaptive tracking performance, a neural network controller has been designed and implemented. Six real-time experiments have been conducted to test the performance of the developed monitoring system. Experimental results obtained in real-time with heart-rate set-point varying from 145 bpm to 180 bmp, demonstrate that the proposed system can quickly and accurately regulate exercise intensity of treadmill running exercises with desired performance (no overshoot, settling time Ts = 100 s). Subjects aged from 29 to 38 years old participated in different set-point experiments to confirm the system's adaptability to inter- and intra-model uncertainty. The desired system performance under external disturbances has also been confirmed in a final real-time experiment demonstrating a user carrying the 10 kg bag then removing it during the exercise. In contrast with conventional control approaches, the proposed adaptive controller achieves better heart rate tracking performance under inter- and intra-model uncertainty and external disturbances. The developed system can automatically adapt to various individual exercisers and a range of exercise intensity. This paper proposes an advanced diagonal decou- pling control method for powered wheelchair systems. This control method is based on a combination of the systematic diagonaliza- tion technique and the neural network control design. As such, this control method reduces coupling effects on a multivariable system, leading to independent control design procedures. Using an obtained dynamic model, the problem of the plants Jacobian calculation is eliminated in a neural network control design. The effectiveness of the proposed control method is verified in a real-time implementation on a powered wheelchair system. The obtained results confirm that robustness and desired performance of the overall system are guaranteed, even under parameter uncertainty effects. New neurons generated in the adult dentate gyrus are constantly integrated into the hippocampal circuitry and activated during encoding and recall of new memories. Despite identification of extracellular signals that regulate survival and integration of adult-born neurons such as neurotrophins and neurotransmitters, the nature of the intracellular modulators required to transduce those signals remains elusive. Here, we provide evidence of the expression and transcriptional activity of nuclear factor of activated T cell c4 (NFATc4) in hippocampal progenitor cells. We show that NFATc4 calcineurin-dependent activity is required selectively for survival of adult-born neurons in response to BDNF signaling. Indeed, cyclosporin A injection and stereotaxic delivery of the BDNF scavenger TrkB-Fc in the mouse dentate gyrus reduce the survival of hippocampal adult-born neurons in wild-type but not in NFATc4(-/-) mice and do not affect the net rate of neural precursor proliferation and their fate commitment. Furthermore, associated with the reduced survival of adult-born neurons, the absence of NFATc4 leads to selective defects in LTP and in the encoding of hippocampal-dependent spatial memories. Thus, our data demonstrate that NFATc4 is essential in the regulation of adult hippocampal neurogenesis and identify NFATc4 as a central player of BDNF-driven prosurvival signaling in hippocampal adult-born neurons. This paper presents a nonlinear cardiovascular model for the study of cardiovascular response during graded exercise. There are two major innovations embedded in this model. Firstly, by tuning only three parameters, all major cardiovascular variables were accurately reproduced. Secondly, a robust and efficient function, which was built up using Support Vector Machine Regression, was added to the model to estimate metabolic demand. Experimental results for ten untrained males indicated that the established model is accurate in the sense that its predicted output was in good agreement with the measured data. Axons in the central nervous system (CNS) do not regenerate while those in the peripheral nervous system (PNS) do regenerate to a limited extent after injury (Teng et al., 2006). It is recognized that transcriptional programs essential for neurite and axonal outgrowth are reactivated upon injury in the PNS (Makwana et al., 2005). However the tools available to analyze neuronal gene regulation in vivo are limited and often challenging. The dorsal root ganglia (DRG) offer an excellent injury model system because both the CNS and PNS are innervated by a bifurcated axon originating from the same soma. The ganglia represent a discrete collection of cell bodies where all transcriptional events occur, and thus provide a clearly defined region of transcriptional activity that can be easily and reproducibly removed from the animal. Injury of nerve fibers in the PNS (e.g. sciatic nerve), where axonal regeneration does occur, should reveal a set of transcriptional programs that are distinct from those responding to a similar injury in the CNS, where regeneration does not take place (e.g. spinal cord). Sites for transcription factor binding, histone and DNA modification resulting from injury to either PNS or CNS can be characterized using chromatin immunoprecipitation (ChIP). Here, we describe a ChIP protocol using fixed mouse DRG tissue following axonal injury. This powerful combination provides a means for characterizing the pro-regeneration chromatin environment necessary for promoting axonal regeneration. This paper proposes an advanced robust multivariable control strategy for a powered wheelchair system. The new control strategy is based on a combination of the systematic triangularization technique and the robust neuro-sliding mode control approach. This strategy effectively copes with parameter uncertainties and external disturbances in real-time in order to achieve robustness and optimal performance of a multivariable system. This novel strategy reduces coupling effects on a multivariable system, eliminates chattering phenomena, and avoids the plant Jacobian calculation problem. Furthermore, the strategy can also achieve fast and global convergence using less computation. The effectiveness of the new multivariable control strategy is verified in real-time implementation on a powered wheelchair system. The obtained results confirm that robustness and desired performance of the overall system are guaranteed, even under parameter uncertainty and external disturbance effects. At eukaryotic promoters, multi-faceted protein-protein and protein-DNA interactions can result in synergistic transcriptional activation. NFAT and AP-1 proteins induce interleukin-2 (IL-2) transcription in stimulated T cells, but the contributions of individual members of these activator families to synergistically activating IL-2 transcription is not known. To investigate the combinatorial regulation of IL-2 transcription we tested the ability of different combinations of NFATc2, NFATc1, cJun, and cFos to synergistically activate transcription from the IL-2 promoter. We found that NFATc2 and cJun are exclusive in their ability to synergistically activate human IL-2 transcription. Protein-protein interaction assays revealed that in the absence of DNA, NFATc2, but not NFATc1, bound directly to cJun/cJun dimers, but not to cFos/cJun heterodimers. A region of NFATc2 C-terminal of the DNA binding domain was necessary and sufficient for interaction with cJun in the absence of DNA, and this same region of NFATc2 was required for the synergistic activation of IL-2 transcription in T cells. Moreover, expression of this C-terminal region of NFATc2 specifically repressed the synergistic activation of IL-2 transcription. These studies show that a previously unidentified interaction between human NFATc2 and cJun is necessary for synergistic activation of IL-2 transcription in T cells. © 2010 Elsevier Ltd.
Neuronal outgrowth is guided by both extrinsic and intrinsic factors, involving transcriptional regulation. The acetylation of histones and transcription factors, which facilitates promoter accessibility, ultimately promotes transcription, and depends on the balance between histone deacetylases (HDACs) and histone acetyltransferases (HATs) activities. However, a critical function for specific acetylation modifying enzymes in neuronal outgrowth has yet to be investigated. To address this issue, we have used an epigenetic approach to facilitate gene expression in neurons, by using specific HDAC inhibitors. Neurons treated with a combination of HDAC and transcription inhibitors display an acetylation and transcription-dependent increase in outgrowth and a reduction in growth cone collapse on both permissive (poly-D-lysine, PDL) and non-permissive substrates (myelin and chondroitin sulphate proteoglycans (CSPGs)). Next, we specifically show that the expression of the histone acetyltransferases CBP/p300 and P/CAF is repressed in neurons by inhibitory substrates, whereas it is triggered by HDAC inhibition on both permissive and inhibitory conditions. Gene silencing and gain of function experiments show that CBP/p300 and P/CAF are key players in neuronal outgrowth, acetylate histone H3 at K9-14 and the transcription factor p53, thereby initiating a pro-neuronal outgrowth transcriptional program. These findings contribute to the growing understanding of transcriptional regulation in neuronal outgrowth and may lay the molecular groundwork for the promotion of axonal regeneration after injury. © 2010 Macmillan Publishers Limited. All rights reserved. The cGMP-dependent protein kinase type I (cGKI) has multiple functions including a role in axonal growth and pathfinding of sensory neurons, and counteracts Semaphorin 3A (Sema3A)-induced growth cone collapse. Within the nervous system, however, the transcriptional regulation of cGKI is still obscure. Recently, the transcription factor and tumor suppressor p53 has been reported to promote neurite outgrowth by regulating the gene expression of factors that promote growth cone extension, but specific p53 targets genes that may counteract growth cone collapse have not been identified so far. Here, we show that p53 promotes cGKI expression in neuronal-like PC-12 cells and primary neurons by occupying specific regulatory elements in a chromatin environment during neuronal maturation. Importantly, we demonstrate that p53-dependent expression of cGKI is required for the ability of cGMP to counteract growth cone collapse. Growth cone retraction mediated by Sema3A is overcome by cGMP only in wild-type, but not in p53-null dorsal root ganglia. Reconstitution of p53 levels is sufficient to recover both cGKI expression and the ability of cGMP to counteract growth cone collapse, while cGKI overexpression rescues growth cone collapse in p53-null primary neurons. In conclusion, this study identifies p53 as a transcription factor that regulates the expression of cGKI during neuronal maturation and cGMP-dependent inhibition of growth cone collapse. Copyright © 2009 Society for Neuroscience. n-Type 1D nanostructures are formed from the beta-sheet assembly of dipeptides bearing a 1,4,5,8-naphthalenetetracarboxylic acid diimide (NDI) side chain into either helical nanofibers or twisted nanoribbons. Amyloid-like 1-D helical nanofibers and twisted nanoribbons assemble in an aqueous solution depending on the placement of the NDI group. beta-Sheet-type hydrogen bonding and pi-pi association play important roles in directing the assembly process. A delicate balance between electrostatic repulsion and hydrophobic interactions is critical for self-assembly. Fluorescence lifetime and anisotropy experiments indicate that the nature of the intermolecular organization and packing within the nanostructures critically impacts intermolecular energy migration pi-electron delocalization. Transcription is essential for neurite and axon outgrowth during development. Recent work points to the involvement of nuclear factor of activated T cells (NFAT) in the regulation of genes important for axon growth and guidance. However, NFAT has not been reported to directly control the transcription of axon outgrowth-related genes. To identify transcriptional targets, we performed an in silico promoter analysis and found a putative NFAT site within the GAP-43 promoter. Using in vitro and in vivo experiments, we demonstrated that NFAT-3 regulates GAP-43, but unexpectedly, does not promote but represses the expression of GAP-43 in neurons and in the developing brain. Specifically, in neuron-like PC-12 cells and in cultured cortical neurons, the overexpression of NFAT-3 represses GAP-43 activation mediated by neurotrophin signaling. Using chromatin immunoprecipitation assays, we also show that prior to neurotrophin activation, endogenous NFAT-3 occupies the GAP-43 promoter in PC-12 cells, in cultured neurons, and in the mouse brain. Finally, we observe that NFAT-3 is required to repress the physiological expression of GAP-43 and other pro-axon outgrowth genes in specific developmental windows in the mouse brain. Taken together, our data reveal an unexpected role for NFAT-3 as a direct transcriptional repressor of GAP-43 expression and suggest a more general role for NFAT-3 in the control of the neuronal outgrowth program. Transcription regulates axon outgrowth and regeneration. However, to date, no transcription complexes have been shown to control axon outgrowth and regeneration by regulating axon growth genes. Here, we report that the tumor suppressor p53 and its acetyltransferases CBP/p300 form a transcriptional complex that regulates the axonal growth-associated protein 43, a well-characterized pro-axon outgrowth and regeneration protein. Acetylated p53 at K372-3-82 drives axon outgrowth, GAP-43 expression, and binds specific elements on the neuronal GAP-43 promoter in a chromatin environment through CBP/p300 signaling. Importantly, in an axon regeneration model, both CBP and p53 K372-3-82 are induced following axotomy in facial motor neurons, where p53 K372-3-82 occupancy of GAP-43 promoter is enhanced as shown by in vivo chromatin immunoprecipitation. Finally, by comparing wild-type and p53 null mice, we demonstrate that the p53/GAP-43 transcriptional module is specifically switched on during axon regeneration in vivo. These data contribute to the understanding of gene regulation in axon outgrowth and may suggest new molecular targets for axon regeneration. The NFAT (nuclear factor of activated T-cells) family of transcription factors functions as integrators of multiple signaling pathways by binding to chromatin in combination with other transcription factors and coactivators to regulate genes central for many developmental systems. Recent experimental evidence has shown that the calcineurin/NFAT signaling pathway is important in axonal growth and guidance during vertebrate development. In fact, studies with triple NFATc2/c3/c4 mutant mice demonstrate that the extension and organization of sensory axon projection and commissural axon growth are both dependent upon NFAT activity. Neurotrophin and L-type calcium channel signaling modulate intracellular calcium levels to regulate the nuclear import and transcriptional activity of NFAT by activating the phosphatase calcineurin. The rephosphorylation and subsequent export of NFAT from the nucleus is mediated by several kinases, including GSK-3, which contribute to the fine tuning of NFAT transcriptional activity in neurons. However, currently, no direct transcriptional targets for NFAT have been identified in a chromatin environment in the nervous system. Undiscovered are also the binding partners of NFAT that might combinatorially regulate specific genes important for neuronal development. This review will discuss the current knowledge related to NFAT signaling in the nervous system development and the potential for future research directions. © 2007 ISDN. The peptide fragment 89-143 of the prion protein (carrying a P101L mutation) is biologically active in transgenic mice when in a fibrillar form. Injection of these fibrils into transgenic mice (expressing full length PrP with the P101L mutation) induces a neurodegenerative prion disease (Kaneko et al., J. Mol. Biol. 295 (2000) 997). Here we present solid-state NMR studies of PrP89-143(P101L) fibrils, probing the conformation of residues in the hydrophobic segment 112-124 with chemical shifts. The conformations of glycine residues were analyzed using doubly 13C=O labeled peptides by two-dimensional (2D) double-quantum correlation, and double-quantum filtered dephasing distance measurements. MQ-NMR experiments were carried out to probe the relative alignment of the individual peptides fibrils. These NMR studies indicate that the 112-124 segment adopts an extended -sheet conformation, though not in a parallel, in register alignment. There is evidence for conformational variability at Gly 113. DQ correlation experiments provide useful information in regions with conformational heterogeneity. © 2005 Elsevier Inc. All rights reserved. We previously reported that c-Jun binds directly to the N-terminal 163 amino acids of Homo sapiens TATA-binding protein-associated factor-1 (hsTAF1), causing a derepression of transcription factor IID (TFIID)-driven transcription (Lively, T. N., Ferguson, H. A., Galasinski, S. K., Seto, A. G., and Goodrich, J. A. (2001) J. Biol. Chem. 276, 25582-25588). This region of hsTAF1 binds TATA-binding protein to repress TFIID DNA binding and transcription. Here we show that the basic leucine zipper domain of c-Jun, which allows for DNA binding and homodimerization, is necessary and sufficient for interaction with hsTAF1. Interestingly, the isolated basic leucine zipper domain of c-Jun was able to derepress TFIID-directed basal transcription in vitro. Moreover, when the N-terminal region of hsTAF1 was added to in vitro transcription reactions and overexpressed in cells, it blocked c-Jun activation. c-Fos, another basic leucine zipper protein, did not interact with hsTAF1, but c-Fos/c-Jun heterodimers did bind the N terminus of hsTAF1. Our studies show that, in addition to dimerization and DNA binding, the well characterized basic leucine zipper domain of c-Jun functions in transcriptional activation by binding to the N terminus of hsTAF1 to derepress transcription. We present a modified multiple-quantum (MQ) experiment, which implements the Carr-Purcell-Meiboom-Gill (CPMG) detection scheme in the static MQ NMR experiment proposed by W. S. Warren et al. (1980, J. Chem. Phys.73, 2084-2099) and exploited further by O. N. Antzutkin and R. Tycko (1999, J. Chem. Phys.110, 2749-2752). It is demonstrated that a significant enhancement in the sensitivity can be achieved by acquiring echo trains in the MQ experiments for static powder samples. The modified scheme employing the CPMG detection was superior to the original MQ experiment, in particular for the carbonyl carbon with a very large chemical shift anisotropy. NFATp is one member of a family of transcriptional activators that regulate the expression of cytokine genes. To study mechanisms of NFATp transcriptional activation, we established a reconstituted transcription system consisting of human components that is responsive to activation by full-length NFATp. The TATA-associated factor (TAFII) subunits of the TFIID complex were required for NFATp-mediated activation in this transcription system, since TATA-binding protein (TBP) alone was insufficient in supporting activated transcription. In vitro interaction assays revealed that human TAFII130 (hTAFII130) and its Drosophila melanogaster homolog dTAFII110 bound specifically and reproducibly to immobilized NFATp. Sequences contained in the C-terminal domain of NFATp (amino acids 688 to 921) were necessary and sufficient for HTAFII130 binding. A partial TFIID complex assembled from recombinant hTBP, hTAFII250, and hTAFII130 supported NFATp-activated transcription, demonstrating the ability of hTAFII130 to serve as a coactivator for NFATp in vitro. Overexpression of hTAFII130 in Cos-1 cells inhibited NFATp activation of a luciferase reporter. These studies demonstrate that hTAFII130 is a coactivator for NFATp and represent the first biochemical characterization of the mechanism of transcriptional activation by the NFAT family of activators. Transthyretin is a human protein capable of amyloid formation that is believed to cause several types of amyloid disease, depending on the sequence deposited. Previous studies have demonstrated that wild-type transthyretin (TTR), although quite stable, forms amyloid upon dissociation from its native tetrameric form into monomers with an altered conformation. Many naturally occurring single-site variants of TTR display decreased stability in vitro, manifested by the early onset familial amyloid diseases in vivo. Only subtle structural changes were observed in X-ray crystallographic structures of these disease associated variants. In this study, the stability of the wild-type TTR tetramer was investigated at the residue-resolution level by monitoring 2H-H exchange via NMR spectroscopy. The measured protection factors for slowly-exchanging amide hydrogen atoms reveal a stable core consisting of strands A, B, E, F, and interestingly, the loop between strands A and B. In addition, the faster exchange of amide groups from residues at the subunit interfaces suggests unexpected mobility in these regions. This information is crucial for future comparisons between disease-associated and wild-type tetramers. Such studies can directly address the regions of TTR that become destabilized as a consequence of single amino acid substitutions, providing clues to aspects of TTR amyloidogenesis. (C) 2000 Academic Press. Infrared and Roman spectra were recorded for the trans.trans (EE), cis,cis (ZZ), and cis,trans (ZE) isomers of 1,4-difluorobutadiene (DFBD). From these spectra and frequencies predicted from the adiabatic connection method, which is a hybrid of Hartree-Fock and density-functional theories, complete assignments of fundamentals were made for the observable s-trans configurations. The fundamentals for the trans,trans isomer are (in cm-1): (ag) 3091, 3048, 1681, 1325, 1280, 1151, 1121, 409, 383; (au) 934, 798, 227, 154; (bg) 897, 830, 397; and (bu) 3086, 3056, 1638, 1299, 1221,1088, 621, 133. The fundamentals for the cis.cis isomer are (in cm-1): (ag) 3118, 3088, 1676, 1410, 1248, 1134, 946, 751, 232; (ag) 914, 762, 330, 78; (bg) 897, 789, 580; and (bu) 3109, 3092, 1624, 1340, 1215, 1044, 632, 165. The fundamentals for the cis,trans isomer are (in cm-1): (a) 3114, 3082, 3062, 3036, 1690, 1629, 1391, 1313, 1253, 1224, 1138, 1129, 1008, 706, 504, 308, 138; and (a) 929, 887, 824, 758, 526 (calculated), 230, 155. Overall agreement between the assignments and the predicted frequencies is quite good. With allowance for the difference between modes strongly dependent on CF or CCI motions, a very good correlation was found between the fundamentals of the three isomers of DFBD and the corresponding isomers of 1,4-dichlorobutadiene. Both sets of isomers are of special interest because they exhibit the cis effect, in which the cis,cis isomer has the lowest energy and the trans,-trans isomer has the highest energy. Carlton, TS & Nguyen, TN 1999, 'Orbital-based interpretation of electron density differences in Ne2 and polarized Ne and Ne6+', Journal of Physical Chemistry A, vol. 103, no. 44, pp. 8870-8874. Total and orbital density difference contours have been calculated from Hartree - Fock wave functions (uncontracted 14s9p4d3f basis) for three systems: Ne and Ne6+ polarized by a +1 charge at 4.66 bohr and Ne2 (R = 3.80 bohr). Effects of MP2 correlation corrections are found to be negligible. In Ne, the outer portion of every orbital is polarized toward the +1 charge. The hybrid [2s + (0.0096)2pz] is an excellent approximation to this system's 2s orbital, whose density difference reverses polarity within its circular node. Farther out, a large intermediate region of the 2p orbital is also polarized away from the +1 charge. In Ne2, only 1s and 2s densities show dipolar polarization: the 2s toward the other nucleus due to 2p electron depletion in the atom-overlap region; the 1s in the opposite direction due to the 2s field. The latter effect is also observed in polarized Ne6+. The total Ne2 density difference exhibits atomic quadrupolar polarization due to unpolarized 2p density buildup and 2p depletion. This study was performed to assess the effects of sulfuric acid inhalation, and partly to examine the potential suitability of the laboratory ferret as a respiratory tract clearance model. Separate groups of ferrets were first exposed nose-only to purified air, 0.5 mg/m3 ofsulfuric acid aerosol, and 1.0 mg/m3 ofsulfuric acid aerosol for 4 h. Following the deposition of radiolabeled tracer microspheres, the clearance rates from the head and chest regions were monitored using collimated radiation detection equipment. The results indicate that (1) neither of the acid atmospheres produced a statistically significant effect on the clearance rate of the head region; (2) the high-acid atmosphere produced a significant acceleration in the clearance rate of the lung region; and (3) the long-term lung clearance rate of the purified air-exposed ferrets was very close to that observed with humans. Also, the ferrets were docile and easy to handle, and seemed to be well suited to this type of study. © 1991 Informa UK Ltd All rights reserved: reproduction in whole or part not permitted. A cDNA clone encoding a human fibroblast growth factor (FGF) receptor was isolated from a hepatoma cell line cDNA library. The cDNA encodes a three immunoglobulinlike-domain FGF receptor that is similar to a human placental FGF receptor cDNA but lacks two amino acids. The variation observed at these two amino acids, also seen in the two immunoglobulinlike-domain FGF-receptors, can be explained by an alternate splicing mechanism. We have used a baculovirus expression system to produce high levels of a soluble, extracellular domain form of the FGF receptor (EC-FGF receptor). Spodoptera frugiperda (Sf9) insect cells infected with recombinant EC-FGF receptor viruses synthesized and secreted an EC-FGF receptor of apparent Mr = 58,000. The EC-FGF receptor purified from conditioned media of infected Sf9 cells by lentil lectin affinity chromatography was shown to bind basic FGF with high affinity (Kd = 1-5 nM), to inhibit the binding of radioiodinated basic FGF to its high affinity receptor and to inhibit endothelial cell proliferation. Furthermore, binding of basic FGF to the EC-FGF receptor was shown to be significantly enhanced by heparin. The availability of biologically active FGF receptors will allow an analysis of their interaction with members of the FGF family of proteins and viruses of the herpes family that have been shown to use the FGF receptor system for cell entry. Mobile wireless network technology has grown rapidly over the past decade with emerging applications and services. Particularly, the fourth generation (4G) cellular network has acted as a bridge between telecommunication technology and daily life applications. In this paper, we present an investigation into a telepresence wheelchair in outdoor environments employing cellular network infrastructure instead of using local wireless networks in indoor environments. Experiments were carried out to demonstrate remote interaction and control from a long distance and across countries. A large amount of communication data based on real network measurements was collected and analyzed to evaluate the system performance. The experimental results show that a wheelchair system can be controlled remotely in real-time with the acceptable round trip time of less than 400 ms. The results reveal the feasibility of using the 4G network for a telepresence wheelchair in healthcare applications. extractor and Bayesian neural network (BNN) as classifier. of EEG for mental fatigue detection. detection that could be translated into clinical practice. predict Freezing of Gait (FOG) in Parkinson's disease (PD). achieve safer navigation tasks for wheelchair users. This paper presents a systematic method to select optimal electroencephalography (EEG) channels for three mental tasks-based brain-computer interface (BCI) classification. A blind source separation (BSS) technique based on independent component analysis (ICA) with its back-projecting of the scalp map was used for selecting the optimal EEG channels. The three mental tasks included: mental letter composing, mental arithmetic and mental Rubik's cube rolling. Based on a power spectral density (PSD), the features of the two-channel EEG data were extracted, and then were classified by Bayesian neural network. The results of the ICA decomposition with the back-projected scalp map showed that the prominent channels could be selected for dominant features from original six EEG channels (C3, C4, P3, P4, O1, O2) to four dominant channels (P3, O1, C4, O2) with the best two EEG channels selection at O1&C4. Two channel combinations classification yielded to the best two EEG channels of O1&C4 with an accuracy of 76.4%, followed by P3&O2 with an accuracy of 74.5%; P3&C4 with an accuracy of 71.9% and O1&O2 with an accuracy of 70%. freezing of gait during turning using our classification system. future freezing of gait detection systems. panoramic images in real-time for a telepresence wheelchair. 39.19 dB which reveals high quality of images. The paper proposes a novel target following solution for an electric powered hospital bed. First, an improved real-time decoupling multivariable control strategy is introduced to stabilize the overall system during its operation. Environment laser-based data are then collected and pre-processed before engaging a neural network classifier for target detection. Finally, a high-level control algorithm is implemented to guarantee safety condition while the hospital bed tracks its target. The proposed solution is successfully validated through real-time experiments. avoid overfitting problem, both neural networks are trained by the Lavenberg-Marquardt with Bayesian regulation algorithm that uses a real-time recurrent learning algorithm to obtain gradient information. Three experimental results in the powered wheelchair control application confirm that the proposed technique effectively minimises the coupling effects caused by input-output interactions even under the condition of system uncertainties. neural network (BNN) method is employed to overcome this problem based on its advantages of handling our small data and high complexity of the multiparamter combinations. The BNN successfully classifies the data using the combinations of four model parameters with an accuracy, estimated by leave-one-out cross validation, of 97.3%. Overall performance assessed by leaveone-out and repeated random-subsampling cross validations for all examined combinations is also remarkably improved by BNN. The results indicate the advance of BNN as compared to SVM in utilising the model parameters for detecting tumour from normal breast tissue. An electroencephalography (EEG)-based classification system could be used as a tool for detecting cognitive fatigue from demanding computer tasks. The most widely used feature extractor in EEG-based fatigue classification is power spectral density (PSD). This paper investigates PSD and three alternative feature extraction methods, in order to find the best feature extractor for the classification of cognitive fatigue during cognitively demanding tasks. These compared methods are power spectral entropy (PSE), wavelet, and autoregressive (AR). Bayesian neural network was selected as the classifier in this study. The results showed that the use of PSD and PSE methods provide an average accuracy of 60% for each computer task. This finding is slightly improved using the wavelet method which has an average accuracy of 61%. The AR method is the best feature extractor compared with the PSD, PSE and wavelet in this study with accuracy of 75.95% in AX continuous performance test (AX-CPT), 75.23% in psychomotor vigilance test (PVT) and 76.02% in Stroop task (p-value < 0.05). This paper develops a multivariable control technique for low-level control of an intelligent hospital bed. First, multivariable hospital bed models, nominal, upper bounded and lower bounded models, are obtained via an experimental identification procedure. Based on the obtained nominal model, the triangular diagonal dominance (TDD) decoupling technique is applied to reduce a complex multivariable system into a series of scalar systems. For each scalar system, an online adaptive control strategy is then developed to cope with system uncertainties. Compared to the conventional control method, real-time experimental results showed that our proposed multivariable control technique achieved better performance. Experimental results also confirmed that desirable system performance was guaranteed under system uncertainty conditions. Freezing of gait (FOG) is a debilitating symptom of Parkinsons disease (PD), in which patients experience sudden difficulties in starting or continuing locomotion. It is described by patients as the sensation that their feet are suddenly glued to the ground. This, disturbs their balance, and hence often leads to falls. In this study, directed transfer function (DTF) and partial directed coherence (PDC) were used to calculate the effective connectivity of neural networks, as the input features for systems that can detect FOG based on a Multilayer Perceptron Neural Network, as well as means for assessing the causal relationships in neurophysiological neural networks during FOG episodes. The sensitivity, specificity and accuracy obtained in subject dependent analysis were 82%, 77%, and 78%, respectively. This is a significant improvement compared to previously used methods for detecting FOG, bringing this detection system one step closer to a final version that can be used by the patients to improve their symptoms. This paper presents an assistive patient mobile system for hospital environments, which focuses on transferring the patient without nursing help. The system is a combination of an advanced hospital bed and an autonomous navigating robot. This intelligent bed can track the robot and routinely navigates and communicates with the bed. The work centralizes in building a structure, hardware design and robot detection and tracking algorithms by using laser range finder. The assistive patient mobile system has been tested and the real experiments are shown with a high performance of reliability and practicality. The accuracy of the method proposed in this paper is 91% for the targeted testing object with the error rate of classification by 6%. Additionally, a comparison between our method and a related one is also described including the comparison of results. We propose a biologically inspired navigation algorithm and implement it on an intelligent wheelchair. The intelligent wheelchair demonstrates an excellent performance in detecting and avoiding static and moving obstacles under the guidance of the proposed algorithm, and it is able to safely and efficiently reach the target in a cluttered dynamic environment. Parkinsons Disease (PD) patients with Freezing of Gait (FOG) often experience sudden and unpredictable failure in their ability to start or continue walking, making it potentially a dangerous symptom. Emerging knowledge about brain connectivity is leading to new insights into the pathophysiology of FOG and has suggested that electroencephalogram (EEG) may offer a novel technique for understanding and predicting FOG. In this study we have integrated spatial, spectral, and temporal features of the EEG signals utilizing wavelet coefficients as our input for the Multilayer Perceptron Neural Network and k-Nearest Neighbor classifier. This approach allowed us to predict transition from walking to freezing with 87 % sensitivity and 73 % accuracy. This preliminary data affirms the functional breakdown between areas in the brain during FOG and suggests that EEG offers potential as a therapeutic strategy in advanced PD. The process of generating an initial prototype for a new dry electrode wearable EEG headset system design can be time and resource intensive. The ability to predict the mechanical and electrical characteristics of this recording device could lead to major cost savings in this process. Since the skin surface roughness has a deep impact on the decrease of brain electric contact conductance (or the increase of the contact impedance) when electrode with bristles contact scalp skin, the estimation of electric conductance across rough dry and wet boundaries is a challenging task in the designing optimization of the wearable EEG headset system. In this contribution, the contact mechanism to predict the electrical conductance of scalp skin pressed against the electrode is considered as the electrical connection by the mechanical contact. For mechanical contact analysis, a new normal force-displacement approach based on the micro-mechanical studies is developed for analyse of the non-linear electrode-skin contact interface problem with high contact precision. For the electrical contact conductance modelling, in this paper, we have extended the Pohrt and Popov model by including the effects of conductive gel. An experiment is developed and carried-out to validate the interfacial contact impedance model. We present a reactive navigation algorithm that guarantees the safety of automated intelligent wheelchairs for people with mobility impairments in dynamic uncertain environments. The proposed navigation algorithm restricts neither the natures nor the motions of the obstacles, the shapes of the obstacles can be time-varying (deforming obstacles). Furthermore, the proposed navigation algorithm does not require prior information about the positions and velocities of the obstacles to accomplish obstacle avoidance. Simulation and experimental results show that intelligent electric-powered wheelchairs are able to successfully avoid collisions with moving obstacles such as pedestrians or vehicles under the guidance of the proposed algorithm and reach the target. This paper presents a novel distributed model predictive control strategy for a large-scale system consisting of interconnected subsystems. A constructive method of online stabilisation that is applicable to the model predictive controllers (MPC) is developed to facilitate the control strategy. The system stability is achievable by the newly introduced asymptotically positive realness constraint (APRC) for MPC. Simulations are provided to demonstrate the efficacy of the presented stability constraint. Freezing of Gait (FOG) is one of the most disabling gait disturbances of Parkinson's disease (PD). The experience has often been described as feeling like their feet have been glued to the floor while trying to walk and as such it is a common cause of falling in PD patients. In this paper, EEG subbands Wavelet Energy and Total Wavelet Entropy were extracted using the multiresolution decomposition of EEG signal based on the Discrete Wavelet Transform and were used to analyze the dynamics in the EEG during freezing. The Back Propagation Neural Network classifier has the ability to identify the onset of freezing of PD patients during walking using these features with average values of accuracy, sensitivity and specificity are around 75 %. This results have proved the feasibility of utilized EEG in future treatment of FOG. © 2012 IEEE. This paper is concerned with the operational performance of a semi-autonomous wheelchair system named TIM (Thought-controlled Intelligent Machine), which uses cameras in a system configuration modeled on the vision system of a horse. This new camera configuration utilizes stereoscopic vision for 3-Dimensional (3D) depth perception and mapping ahead of the wheelchair, combined with a spherical camera system for 360-degrees of monocular vision. The unique combination allows for static components of an unknown environment to be mapped and any surrounding dynamic obstacles to be detected, during real-time autonomous navigation, minimizing blind-spots and preventing accidental collisions with people or obstacles. Combining this vision system with a shared control strategy provides intelligent assistive guidance during wheelchair navigation, and can accompany any hands-free wheelchair control technology for people with severe physical disability. Testing of this system in crowded dynamic environments has displayed the feasibility and real-time performance of this system when assisting hands-free control technologies, in this case being a proof-of-concept brain-computer interface (BCI). © 2012 IEEE. In this paper we evaluate the physiological performance of a silver-silver chloride dry electrode with bristle (B-Electrode) in recording EEG data. For this purpose, we compare the performance of the bristle electrode in recording EEG data with the standard wet gold-plated cup electrode (G-Electrode) using two different brain state change tasks including resting condition with eyes-closed and performing mathematical task with eyes-open. Using a 2 channel recording device, eyes-closed command data were collected from each of 6 participants for a period of 20sec and the same procedure was applied for the mathematical calculation task. These data were used for statistical and classification analyse. Although, B-electrode has shown a slightly higher performance compared with G-electrode in both tasks, but analyse did not reveal any significant differences between both electrodes in all six subjects tested. The paper proposes a robust online adaptive neural network control scheme for an automated treadmill system. The proposed control scheme is based on Feedback-Error Learning Approach (FELA), by using which the plant Jacobian calculation problem is avoided. Modification of the learning algorithm is proposed to solve the overtraining issue, guaranteeing to system stability and system convergence. As an adaptive neural network controller can adapt itself to deal with system uncertainties and external disturbances, this scheme is very suitable for treadmill exercise regulation when the model of the exerciser is unknown or inaccurate. In this study, exercise intensity (measured by heart rate) is regulated by simultaneously manipulating both treadmill speed and gradient in order to achieve fast tracking for which a single input multi output (SIMO) adaptive neural network controller has been designed. Real-time experiment result confirms that robust performance for nonlinear multivariable system under model uncertainties and unknown external disturbances can indeed be achieved. One of the advantages of using more than one actuator and multi-loop control structure for the control of a single output variable is its potential to tolerate system failures. Based on the analysis of the steady state behaviour of the process, this paper presents a theoretical examination of processes with redundant actuators. The concept of Decentralized Integral Controllability (DIC) has been extended to non-square nonlinear processes, and a steady state sufficient condition has been provided for the multi-loop integral control configuration. We illustrate the proposed analysis method by using the example of the regulation of heart rate response for treadmill exercises, in which both treadmill speed and gradient are served as control inputs for the regulation of a single output, heart rate. This paper investigates the application of a multi-loop PID controller in an automated treadmill exercise machine. The approach is to design a computer-controlled treadmill control system for the regulation of heart rate (HR) during treadmill exercise. A single-input and multiple-output (SIMO) controller was implemented to fast track a given heart rate profile in treadmill exercise. Two separate single-input and single-output (SISO) PID control systems are initially implemented to modify either the treadmill speed or its angle of inclination in order to achieve a desired HR. The purpose of this paper is to apply a SIMO control system by implementing a control algorithm which includes the two PID controllers working simultaneously to track the desired HR profile. The performance of the SIMO and SISO control systems are compared through the closed loop responses recorded during experimentation. This would also help future development of safe treadmill exercise system. This study investigates the rate estimation problem encountered in rehabilitation exercise monitoring by using noninvasive portable sensors. The purpose of this paper has two main parts. The first part is to find suitable approaches for the rate detection of tri-axial accelerometer (TA) signals and ECG signals respectively. It is found that the integral type approaches (the average magnitude difference function (AMDF) and autocorrelation function (ACF)) are particularly suitable for TA signal pre-processing, while differential type approaches are very efficient for electrocardiographic (ECG) signal pre-processing. The second part is to develop a square wave matching method to detect the rate from the pre-processed signals. Experimental results indicate that the proposed methods can effectively detect pace rate from TA and heart rate from ECG and remove undesirable spikes. The paper proposes a systematic robust multivariable control strategy based on combination of systematic triangularization technique and robust control strategies. Two design stages are required. In the first design stage, multivariable control problem is reduced into a series of scalar control problems via triangularization technique. For each specific scalar system, two advanced control strategies are proposed and implemented in the second design stage. The first one is based on Model Predictive Control, which is an iterative, finite horizon optimization procedure. The second control strategy is known as Neuro-Sliding Mode Control, which integrates Sliding Mode Control (SMC) and Neural Network Design to achieve both chattering-free and system robustness. Real-time implementation on a powered wheelchair system confirms that robustness and desired performance of a multivariable system under model uncertainties and unknown external disturbances can indeed be achieved by the combination of triangularization technique and Neuro-Sliding Mode Control. This paper proposed a nonlinear model predictive control (MPC) method for the control of gantry crane. One of the main motivations to apply MPC to control gantry crane is based on its ability to handle control constraints for multivariable systems. A pre-compensator is constructed to compensate the input nonlinearity (nonsymmetric dead zone with saturation) by using its inverse function. By well tuning the weighting function matrices, the control system can properly compromise the control between crane position and swing angle. The proposed control algorithm was implemented for the control of gantry crane system in System Control Lab of University of Technology, Sydney (UTS), and achieved desired experimental results. This paper proposes an optimal path-following control approach for a smart powered wheelchair. Lyapunovâs second method is employed to find a stable position tracking control rule. To guarantee robust performance of this wheelchair system even under model uncertainties, an advanced robust tracking is utilised based on the combination of a systematic decoupling technique and a neural network design. A calibration procedure is adopted for the wheelchair system to improve positioning accuracy. After the calibration, the accuracy is improved significantly. Two real-time experimental results obtained from square tracking and door passing tasks confirm the performance of proposed approach. This paper proposes a neuro-sliding mode multivariable control approach for the control of a powered wheelchair system. In the first stage, a systematic decoupling technique is applied to the wheelchair system in order to reduce the multivariable control problem into two independent scalar control problems. Then two Neuro-Sliding Mode Controllers (NSMCs) are designed for these independent subsystems to guarantee system robustness under model uncertainties and unknown external disturbances. Both off-line and on-line trainings are involved in the second stage. Realtime experimental results confirm that robust performance for this multivariable wheelchair control system under model uncertainties and unknown external disturbances can indeed be achieved. Nguyen, N, Nguyen, HT & Su, S 2008, 'Optimal path-following control of a smart powered wheelchair', Proceedings of the 30th Annual International Conference of the IEEE Engineering in Medicine and Biology Society, EMBS'08 - "Personalized Healthcare through Technology", pp. 5025-5028. This paper proposes an optimal path-following control approach for a smart powered wheelchair. Lyapunov's second method is employed to find a stable position tracking control rule. To guarantee robust performance of this wheelchair system even under model uncertainties, an advanced robust tracking is utilised based on the combination of a systematic decoupling technique and a neural network design. A calibration procedure is adopted for the wheelchair system to improve positioning accuracy. After the calibration, the accuracy is improved significantly. Two real-time experimental results obtained from square tracking and door passing tasks confirm the performance of proposed approach. © 2008 IEEE. Nguyen, N, Nguyen, HT & Su, S 2008, 'Neuro-sliding mode multivariable control of a powered wheelchair', Proceedings of the 30th Annual International Conference of the IEEE Engineering in Medicine and Biology Society, EMBS'08 - "Personalized Healthcare through Technology", pp. 3471-3474. This paper proposes a neuro-sliding mode multivariable control approach for the control of a powered wheelchair system. In the first stage, a systematic decoupling technique is applied to the wheelchair system in order to reduce the multivariable control problem into two independent scalar control problems. Then two Neuro-Sliding Mode Controllers (NSMCs) are designed for these independent subsystems to guarantee system robustness under model uncertainties and unknown external disturbances. Both off-line and on-line trainings are involved in the second stage. Realtime experimental results confirm that robust performance for this multivariable wheelchair control system under model uncertainties and unknown external disturbances can indeed be achieved. © 2008 IEEE. In this paper, the dynamic multivariable model of the wheelchair system is obtained including the presence of transportation lags. The triangular diagonal dominance (TDD) decoupling technique is applied to reduce this multivariable control problem into two independent scalar control problems. An advanced robust control technique for the wheelchair has been developed based on the combination of a TDD decoupling strategy and neural network controller design. The results obtained from the real-time implementation confirm that robust performance for this multivariable wheelchair control system can indeed be achieved. In this paper, the dynamic multivariable model of the wheelchair system is obtained including the presence of transportation lags. The triangular diagonal dominance (TDD) decoupling technique is applied to reduce this multivariable control problem into two independent scalar control problems. An advanced robust control technique for the wheelchair has been developed based on the combination of a TDD decoupling strategy and neural network controller design. The results obtained from the real-time implementation confirm that robust performance for this multivariable wheelchair control system can indeed be achieved. © 2007 IEEE. DeBolt, CK, Aviles, JD, DeLeon, JD, Nguyen, TB & Nguyen, TN 2000, 'Development of a simple, autonomous system of small robots to clear unexploded submunition ordnance', Proceedings of SPIE - The International Society for Optical Engineering, pp. 253-262. The Naval Explosive Ordnance Disposal Technology Division (NAVEODTECHDIV) has had an active program for several years for the development of technologies required to realize an autonomous system of small robots to clear an area of unexploded submunitions. The focus thus far has been on the technology elements themselves, with an emphasis on autonomous electronic control and processing. NAVEODTECHDIV is now developing demonstration systems to prove the feasibility of this application. At this stage, the systems are used in relatively benign terrain, and the targets are inert, not live munitions. However, this is adequate to show possibilities, and allow for experimentation before a full-scale development effort is initiated. Nguyen, TN, DeBolt, C & Nguyen, TB 2000, 'Using a swarm of autonomous robots for UXO clearance, the BUGS project', Robotics 2000, pp. 353-359. The objective of the Basic UXO Gathering System (BUGS) is to develop, test, evaluate, and demonstrate the use of multiple small robots in neutralizing unexploded ordnance in contaminated land areas. We are studying control methodologies and working on multiple autonomous robots to perform a practical and useful UXO (Unexploded Ordnance) clearance mission. It is important to select a multiple-robotic system approach that is reliable, economical, and robust enough to operate in an unknown environment. This paper addresses the completed milestones at NAVEODTECHDIV, in building multiple small, robust and inexpensive robot systems to neutralize UXO area. The objective of the Basic UXO Gathering System (BUGS) is to develop, test, evaluate, and demonstrate the use of multiple small robots in neutralizing unexploded ordnance in contaminated land areas. We are studying control methodologies and working on multiple autonomous robots to perform a practical and useful UXO (Unexploded Ordnance) clearance mission. It is important to select a multiple-robotic system approach that is reliable, economical, and robust enough to operate in an unknown environment. This paper addresses the completed milestones at NAVEODTECHDIV, in building multiple small, robust and inexpensive robot systems to neutralize UXO area. © 2004 ASCE. DeBolt, C, O'Donnell, C, Freed, C & Nguyen, T 1997, 'BUGS `Basic UXO Gathering System' project for UXO clearance & mine countermeasures', Proceedings - IEEE International Conference on Robotics and Automation, pp. 329-334. The objective of the Basic UXO Gathering System (BUGS) is to test, evaluate and demonstrate the use of distributed robotics in clearing unexploded submunitions and minefield neutralization. A team consisting of industry, universities, and the government is working together on the BUGS program. We are concentrating on control methodologies required for multiple, autonomous robots working together to perform a practical and useful mission. The choice of architecture is important in selecting a system that is flexible enough to operate reliably and robustly in an unknown environment. This paper also addresses the current team efforts on the BUGS project.